Dmitry Pumpyansky (lead image, left), the 53-year old oligarch who dominates the Russian steel pipes business, knows how to pay for protection. Last week the US Treasury listed him as an oligarch whose corruption record and closeness to the Kremlin may qualify him for sanctions, according to Section 241 of the Countering America’s Adversaries Through Sanctions Act (CAATSA). Pumpyansky is vulnerable to US asset freeze and credit cut-off because he owns steelmills, pipemills, bank accounts, and other assets in the US; about one-quarter of his sales revenues, profits and earnings are produced in the US. So why is he proposing to sell shares in his American business on the New York Stock Exchange in a few weeks’ time? There are three answers. 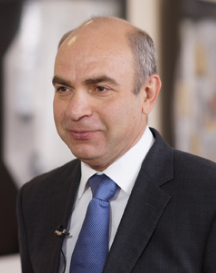 One is that Pumpyansky’s American business is the only loss-maker in his group, so he is selling the Americans a pup. 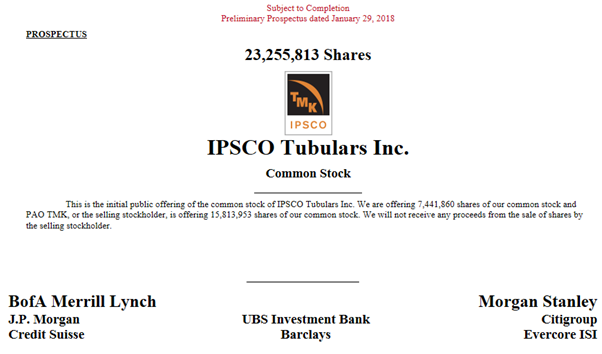 The second is that the American banks underwriting the initial public offering (IPO) of what is titled IPSCO Tubulars Inc. are also large lenders to the business; so they are recovering their money, and reducing the risk that sanctions against Pumpyansky would hurt them in future. Finally, Pumpyansky is paying Anatoly Chubais (lead image, right) to influence US Government officials not to penalize Pumpyansky. Chubais, a board director of Pumpyansky’s parent company in Moscow, has been the American candidate for ruling Russia since he ran the state privatization programme from 1992; President Boris Yeltsin’s Kremlin; and then the breakup and selloff of the Russian electricity system. Chubais is the only powerful Russian state company official not to be named on last week’s US Treasury list. There is no mention of the word “sanctions” in the prospectus for IPSCO which Pumpyansky issued on January 29. The prospectus can be read here. Pumpyansky can be found on the US Treasury’s oligarch list, issued hours after the prospectus, at No. 70 of Annex B. Click to open the list, and read the full story here. Section 241 the US sanctions law required the Treasury, State Department and the intelligence agencies to investigate Pumpyansky (and the other oligarchs), and report to Congress their “identification of any indices of corruption with respect to those individuals.” Pumpyansky, a native of the Urals and resident of Yekaterinburg (Sverdlovsk), is the control shareholder of TMK (Russian acronym meaning Metal Pipe Company), the largest producer of pipes in Russia for the oil and gas sector, for construction scaffolding, and water supply infrastructure. At the start, Pumpyansky and his allies of what was once called the Uralmash gang used force to take over the steel plants and pipemills now comprising the group. The violence was widely reported, and the record of kompromat involving Pumpyansky is voluminous. For a sample, start here. For the Russian kompromat, click to begin. While Pumpyansky’s control shareholding of TMK’s mills appears to be his, there has long been the suspicion that he held shares in trust for his original Uralmash comrades. Over the years Pumpyansky has bought his way out of partnerships with two bank and coal oligarchs. He is still heavily indebted to the state banks. Because his business relies on the procurement of pipes for the oil and gas sector, Pumpyansky is also dependent on the state-controlled companies dominating that sector – Rosneft, Gazprom, Surgutneftegas, and the state pipeline company, Transneft. A regular at President Vladimir Putin’s oligarchs for Christmas dinner, Pumpyansky is always seated between Mikhail Prokhorov and Victor Rashnikov, but the press photographs never catch them talking together. 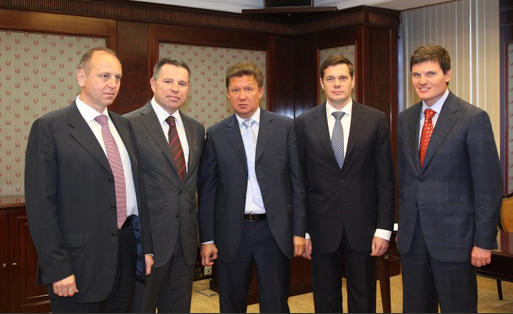 May 21, 2012: a rare picture at Gazprom headquarters when the annual pipe procurement contracts were handed out by Gazprom chief executive Alexei Miller to the main Russian pipemakers. From left, Dmitry Pumpyansky; Andrei Komarov of Chelpipe; Miller; Alexei Mordashov of Severstal; and Anatoly Sedykh of United Metallurgical Corporation (OMK). TMK’s indebtedness peaked at $3.8 billion in 2012; it was $3.2 billion at September 30, last year. 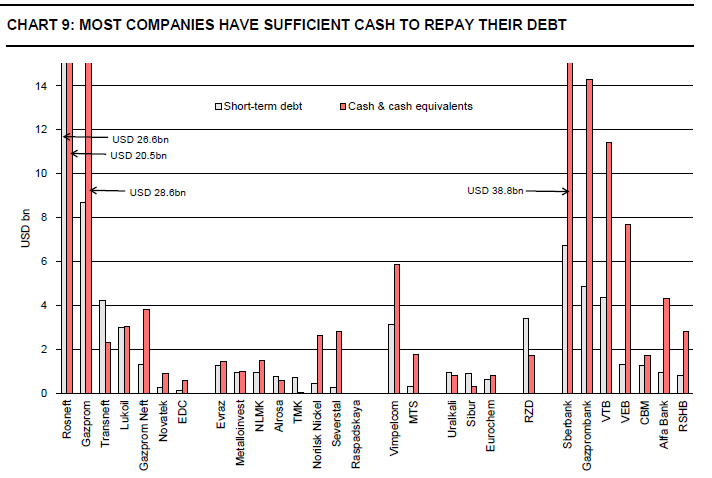 TMK doesn’t reveal which banks hold most of that debt. The company’s financial reports reveal about half the debt is in roubles, so the Russian state banks are likely to be the principal creditors. VTB, according to an announcement by TMK in 2015, is one of the state lenders issuing loans for Pumpyansky’s shares; click to read. VTB was also one of the underwriters of a $500 million issue of debt paper by TMK last October. Representing bank creditors on Pumpyansky’s board of directors is Mikhail Alekseyev (right). He is titled an independent director on the TMK board. Currently chairman of Unicredit Bank, the Russian subsidiary of the Italian bank, he was a Finance Ministry official at the start of his career and a commercial Russian bank executive since then. Under Alekseyev’s supervision, Unicredit issued a research report in January 2105 warning that TMK had too little cash to repay its loan obligations. Fedotova also warned that in addition to its high leverage, the next biggest risk was TMK’s “high reliance on one big customer, Gazprom.” That was at the start of 2015. 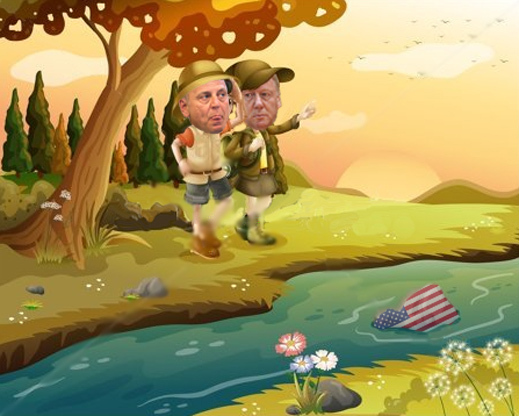 This week, asked if escalating US economic warfare against the Russian oil and gas sector, especially against Rosneft and Gazprom, will translate into further troubles for TMK, other Moscow analysts covering TMK were reluctant to respond on or off the record. TMK’s common shares are listed on the Moscow Stock Exchange (TRMK); it lists Global Depositary Receipts (one GDR is equivalent to four shares) on the London Stock Exchange (TMKS:LI). Compared to its international pipemaker peers – Vallourec of France, Tenaris of Luxembourg – TMK’s market capitalization is a fraction of theirs. The share prices of all three have dived in line with the falling price of steel, steel pipes, and of Oil and Gas Tubular Goods (OCTG), as energy prices collapsed, stopping capital expenditure and new drilling projects as a consequence. But TMK’s decline has been deeper than its peers. That’s the Pumpyansky discount. 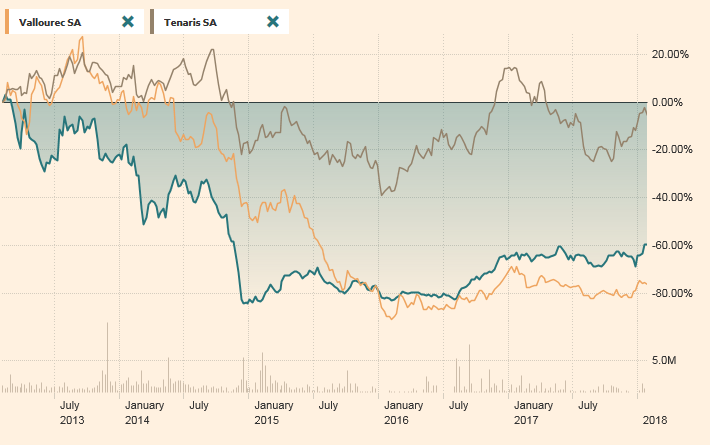 TMK market cap, $1.55 billion; Vallourec market cap, €2.54 billion; Tenaris market cap $20.69 billion. Open the new prospectus Pumpyansky authorized this week, and you will find not only that the sanctions risk is missing, but that Russian banks are conspicuous by their absence from the underwriters. On Pumpyansky’s TMK board, alongside Alekseyev and Chubais, are Americans Bob Foresman – formerly of Barclays and now of UBS, one of the underwriters of the IPO – and Peter O’Brien, who represents another of the underwriters, Morgan Stanley, for which he runs the bank’s Russian business. Sergei Kravchenko is a de facto American on the TMK board because he is employed by Boeing to run their Russian business. In short, share buyers on the New York Stock Exchange are invited to buy about 38% of Pumpyansky’s company – he will retain 62% after the IPO; 58% if the underwriters take up their full allotment — as a bet on growth of US oil and gas against the Russian competition in the global energy supply markets. For short, Pumpyansky’s IPSCO versus Pumpyansky’s TMK. On the risk side of this wager, the 210-page prospectus acknowledges that fluctuations in oil and gas prices make the biggest risk. When they decline, the 80% of IPSCO’s revenues earned from OCTG shipments plummet. In practice, the current revolving credit for IPSCO is $82 million, and comes from Bank of America-Merrill Lynch and JP Morgan, both IPO underwriters. Another $100 million is owed by IPSCO to TMK from an inter-company loan of last March. The sale of the shares at IPO will pay this money back. If the underwriting banks do not take up their IPO allocation, that will signal their lack confidence in the share price target for the IPO, and in the future of the company. Source: https://www.sec.gov/Archives/edgar/data/1262719/000119312518022551/d464255ds1a.htm -- page F-34. How much are the banks and Pumpyansky hoping the new company shares will sell for? On a simple revenue or earnings (Ebitda) proportional calculation, roughly one-quarter of TMK’s current market capitalization of $1.55 billion should be what IPSCO is worth; that’s $388 million. The prospectus is proposing a target price range between $20 and $23 per share. So at the bottom of the range, the sale of 23.3 million shares would fetch $466 million; at the top of the range, $536 million. These numbers indicate a target market cap for the new company of between $1.2 billion and $1.4 billion. In other words, almost as much as the combined TMK and IPSCO is worth today. Americanizing his business, Pumpyansky and his promoters calculate, should generate a premium of 360%. That’s quite a stretch for a loss-making spinoff of a large profitable parent. Americanizing the company has already been much better for Pumpyansky since Trump took office a year ago than it was during Barack Obama’s administration; or would have been if Hillary Clinton had won the presidency. This is because Obama and Clinton regarded TMK as the Russian enemy of their favourite Ukrainian pipemaker, Victor Pinchuk. Victor Pinchuk with (left to right) Bill Clinton, Hillary Clinton, and Chelsea Clinton. With US Steel, TMK is the leading US producer of pipes for the domestic market. Last year, the two of them effectively lobbied the Trump Administration to keep Pinchuk’s pipes out of the US market. For the earlier favours shown Pinchuk in the US pipe market, and the influence of his donations to the Clinton Foundation, read this. Pumpyansky has already persuaded the US Department of Commerce that he’s better for US interests than Pinchuk, so is the IPSCO share listing in New York a test of whether Treasury Secretary Steven Mnuchin prefers investment bank and stock market profits to economic warfare with Russia’s oligarchs? 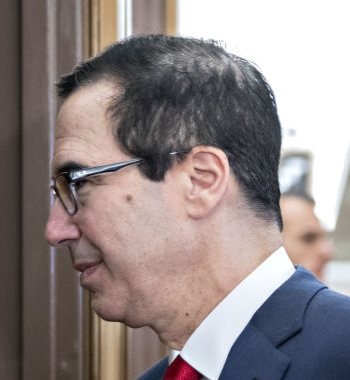 Mnuchin was responsible for last week’s Section 241 CAATSA report to Congress and for the oligarch list; read the story the US media have missed. That sounds like sanctions for oligarchs like Pumpyansky, but it isn’t. At least not before the IPSCO shares start selling in New York; and not before Bank of America-Merrill Lynch, Morgan Stanley, JP Morgan and Citi have pocketed their share of the proceeds.